I admit it, I'll always have a crush on Henry John Deutschendorf. You may know him as John Denver. I know his songs are considered lightweight and sappy now, but I think he was sincere down to his core, and I love him for it. He loved the outdoors and especially his beloved Colorado mountains, and wasn't afraid to shout it. He wasn't opposed to sitting around and getting high, but other than that, he sure didn't seem like a lawbreaker or someone who would ever hurt a fly. He was a regular Muppet Show host and starred in their movies. And he didn't just sing about protecting and enjoying the earth, he got out there and worked in conservation projects. I remember being thunderstruck when I heard he and his wife Annie (a Minnesotan like me) got divorced, because if the couple in "Annie's Song" couldn't make it, who could? When we had to nominate a song for our eighth-grade graduation theme, I nominated his "Poems and Prayers and Promises," but it lost out to a song called "Somewhere Over the Horizon." I still think mine was the better choice. His daughter from his second marriage was just 8 in 1997 when Denver crashed his experimental plane, supposedly while switching gas tanks. He was so badly crushed they could not use dental record to identify him and had to use fingerprints. It was a sad, sad end who loved the air and the earth so much, taken down by both of them. But in a way, dying fairly young and while doing what he loved, out in the open air -- well, it might have been, for him, better than a lingering death from disease in a hospital bed. For some, he's just the familiar voice you switch off on WLTE or hear while in the elevator or dentist's chair. I'll always think more of him than that. Thanks, John, for the music and for your spirit. Were you a John Denver fan? Put me down as a huge fan. I don't find his songs lightweight at all. As you said, his sincerity keeps these songs from being cheesy. His lyrics accurately portray so many hard-to-describe emotions. One of my favorites is For Baby. I sang it to both of my boys when they were babies. Whenever I hear John Denver sing this song, I can feel the rain, see the leaves and remember those first intense feelings of parental love. If that makes me sappy, then so be it. But I didn't "used to be" a fan. Still am. Love John Denver (listening to his greatest hits right now, in fact. Singing along with Emmy Lou Harris on Wild Montana Skies). The surest way to make me stay up way too late on a work night watching PBS is to flip channels and discover one of his concerts playing during pledge week. I just bought my dad one of his albums for his birthday next week. 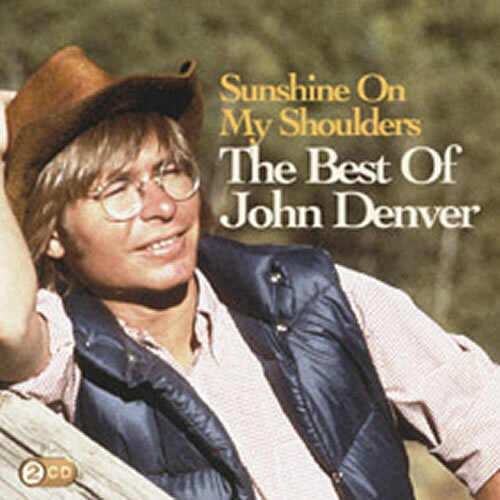 I will admit it: I love John Denver. "Take Me Home Country Roads" and "Rocky Mountain High" are two of my favorite songs, and I listen to them with no irony whatsoever.